NAIROBI, Oct 17 2014 (IPS) - Although AIDS has defied science by killing millions of people throughout Africa in the last three decades, HIV experts now believe that they have found the magic numbers to end AIDS as a public health threat in 15 years. She told IPS that in Kenya 72 percent of the estimated total number of people living with HIV have been tested, and 76 percent of the 880,000 adults and children diagnosed with HIV were on ART by April 2014. All East and Southern African countries are adopting the new guidelines, says Dr Eleanor Gouws-Williams, senior strategic information adviser with UNAIDS. In Zimbabwe, Dr Agnes Mahomva, country director for the Elizabeth Glaser Paediatric AIDS Foundation, told IPS that 90-90-90 is not too ambitious for the Southern African country. True Anabel; in fact before we worry about retention on ART, we should worry about actually getting the those tested onto care! 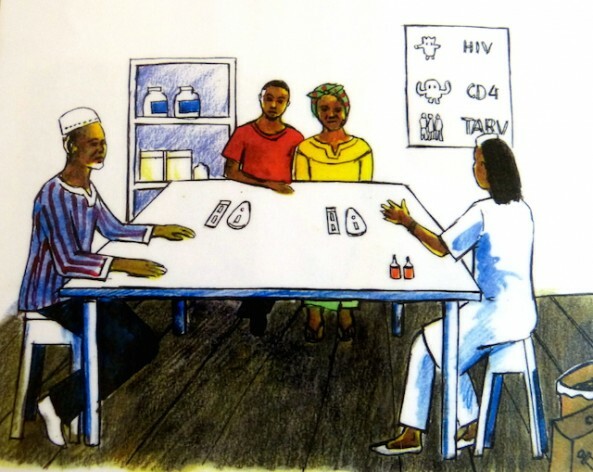 It is still an uphill task to get a large number of people found HIV positive into the health care system, which of course also connects to stigma. So working on the issue of stigma (both self- and externally perpetuated) will be key to achieving what the 90-90-90 strategy intends to achieve.